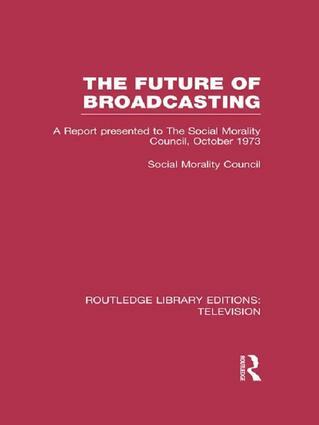 At the time when this book was originally published, broadcasting in Britain had become a huge industry undergoing major changes. There were questions over the release of a new television channel, and commercial radio. This Report was commissioned to aid the citizen at the receiving end of the new technologies who could feel very remote from the plans and decisions. It represents a wide range of views and interests, to examine the important questions which were arising from broadcasting, from the point of view of the public benefit. It sets out clearly and fully the background and the arguments in broadcasting debate. The report made many interesting and far-reaching recommendations, and looking back this reveals a lot about the inner processes of the broadcasting organisations of the time. This is a fascinating glimpse of past questions and solutions in which parellels can be drawn with the present time.